Discover how we generated C-level leads through a premium content offer. How do you reach C-level prospects? Decision-makers on a C-level can be difficult to reach. Find out how we tackled the challenge by utilizing a premium content offer. 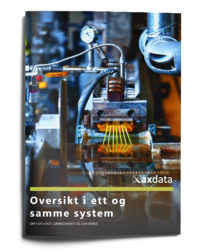 Axdata is a Norwegian company specialized in ERP, cloud services, and business solutions for manufacturing, engineering, utilities, and project-oriented industries. They strive to deliver a seamless implementation of ERP and cloud services and other business solutions that make your business run more smoothly. Axdata hired Brightvision to create and implement an integrated marketing campaign that would build awareness and generate leads by utilizing premium content. The purpose of the content was to demonstrate Axdata’s expertise on ERP solutions for manufacturing companies. Brightvision created an inbound marketing campaign centered around ERP solutions for manufacturing companies. The campaign was centered around a core piece of content, an eBook containing practical information on how to upgrade their ERP system. The eBook was based on Axdata’s primary target audience focusing on key decision-makers as well as daily users of ERP systems. The eBook was hosted on landing page where prospects would fill out a form with their information in order to download the content. Once the eBook had downloaded, this prompted an email nurturing flow which was used to further guide the prospect in the buyer journey. The primary goal of the campaign was to generate new leads for Axdata. A successful inbound marketing campaign requires a thorough understanding of the user persona, their challenges and how to best solve those challenges. The campaign was structured based on Brightvision’s proven campaign process. This can be split into five different parts; campaign strategy, campaign structure, premium content, paid advertising and evaluation. All successful campaigns start with research. During two separate workshops, we got to know Axdata’s market and audience in order to gain the knowledge necessary to produce a results-driven inbound campaign. During this process, we also mapped out the primary buyer personas to target. In order to do so, we used data from previous research and interviewed a number of salespeople at Axdata. Based on this, we identified CFOs at manufacturing companies as our primary buyer persona. We also had two secondary personas, COOs and CTOs at manufacturing companies. Since we considered these personas to be key influencers in the decision making process, we adapted the content to also target these roles. Together with axdata we put together a campaign strategy specifically based on their challenges and needs. During the planning phase, we also created a campaign timeline to provide Axdata with an overview of all campaign components. When the strategy was in place it was time to enter the production phase. We started with configuring a marketing automation (MA) system, build and implement landing pages and create an email nurturing flow. The forms on the landing pages were all connected to a MA-system in order to gather as much prospect information as possible. With the help of automated scripts and powerful analytics we made sure all parts of the campaign were measurable. An email nurturing flow is a key part of inbound campaigns, it’s what guides the prospect further in their buyer journey and prompts action. The email nurturing flow consisted of six emails with reminders and call-to-actions based on behavior. When the campaign structure was in place, it was time for content. Inbound marketing is about offering educational and engaging content. 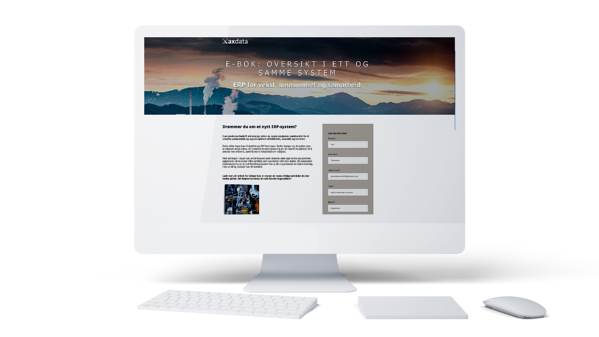 We created the eBook “Oversikt i ett og samme system” to help prospects take the first steps toward a cloud based ERP system. 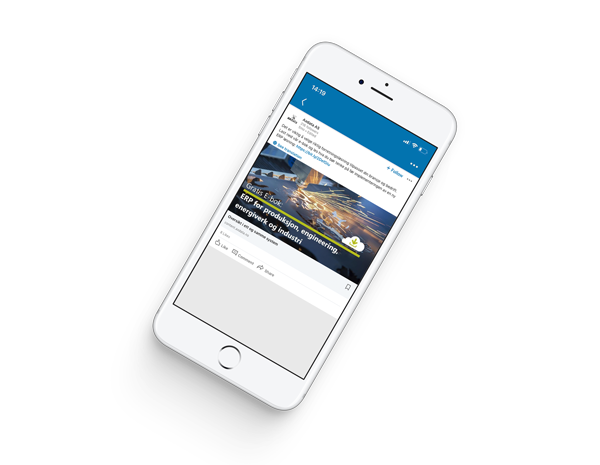 We also produced a case study which was used in the email nurturing flow which was activated after download. We created three on-demand webinars, one for each persona (CFO, CTO, COO). This was meant to serve as more in-depth and late stage content in the buyer’s journey. Webinars is a format that engages prospects. Whether it’s live or on-demand, they are more personal and interactive than other formats. That’s why they often lead to increased lead conversion. CFOs received the webinar invite in both a targeted email campaign and the nurturing flow. The other two webinars were introduced following download of the eBook or once the prospect had watched the first webinar. We launched paid campaigns on Facebook and LinkedIn. The ads contained a call-to-action that prompted viewers to download the eBook. The ads were segmented based on buyer persona. We used both sponsored and organic posts. We worked continuously throughout the campaign to analyze and optimize the performance of the ads. This work is essential to improve the performance of the ads, maximize ad spend and increase ROI. Once the campaign had finished it was time to analyze the results to find further insights about our market, buyer personas and content. This is an essential part of any campaign in order to optimize and make improvements for future marketing initiatives. We presented the results, insights and recommendations for next steps in a detailed campaign report. Ultimately, Axdata was happy with the results and decided to extend the campaign.